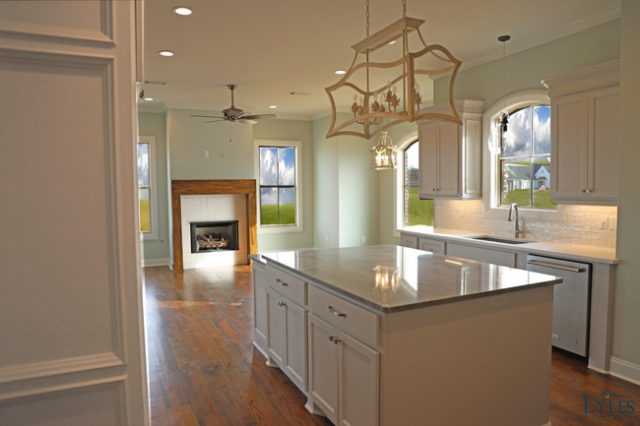 Bayou Sunset is a 4 bedroom, 3 bath home located in centralized River Forest neighborhood in Brandon Mississippi. The plan for this home was inspired by Old Bayou, located in Latter Rayne. 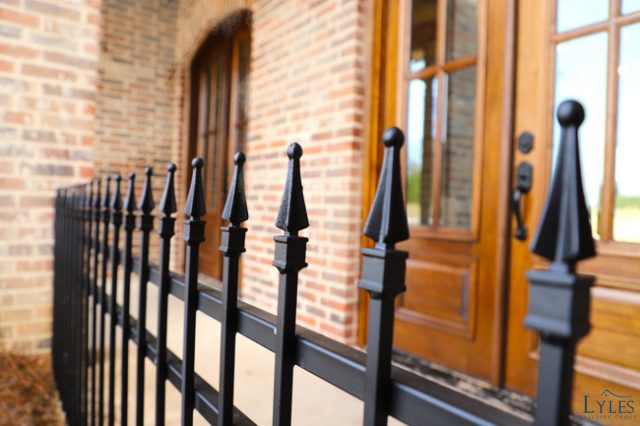 This home is expected to be finished around late Spring of 2019 so there’s still time to make it your own! It’s a very unique floor plan with an exceptional sitting room area off of the kitchen designed for entertaining. We even made room for a breakfast area. The kitchen is setup for culinary exploration with a large island and an exceptional amount of storage. If you enjoy cooking, this is certainly a home you should consider. 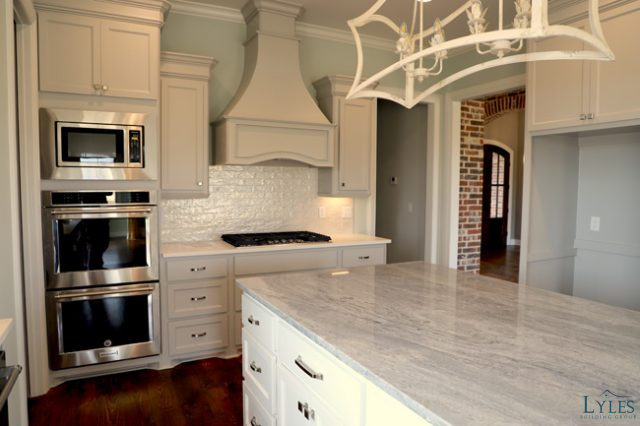 Imagine rolling out bread dough on the large island or having friends over to bake for a fund raiser. This kitchen is made for this type of activity. The only decision where to watch your favorite shows or spend time with family will be whether it’s in the living room or the sitting room. 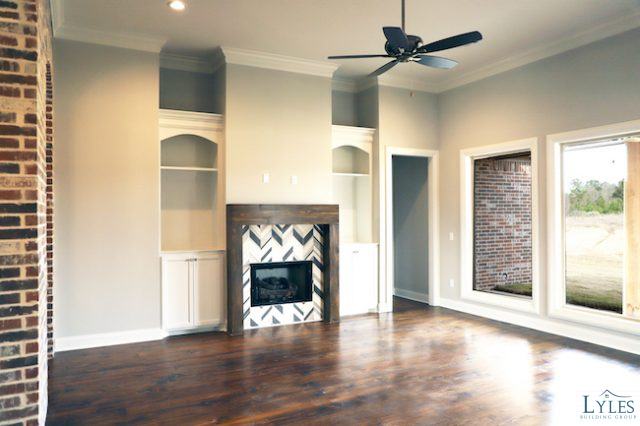 Both have ventless fireplaces and plenty of room for family time. For the size footprint this home sits on, we’ve packed a lot into it. The large master bath has a spacious walk-in closet attached, complete with built-ins. 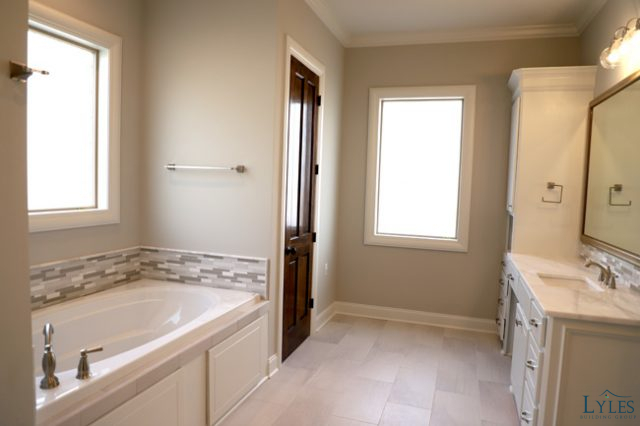 There are also his and her vanities in the master bath with a soaker tub and expanded shower. 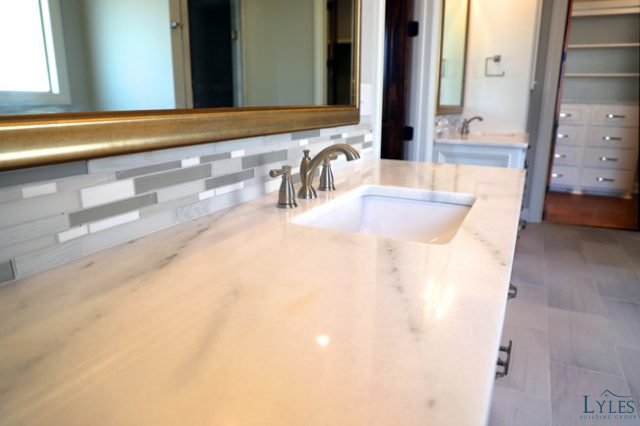 All bathrooms are designed with tile surrounds with thought put into every corner. 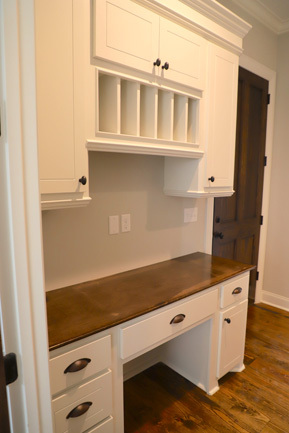 The upgraded laundry room will make the chore much more enjoyable with creative elements and functionality. The featured photos are from Old Bayou located in Latter Rayne that has a similar layout. We’ll be posting photos of this home once it gets closer to being finished.